Transfer News!! ‘Manchester United Could Have Bought Lukaku For £150Million’- Mourinho. United paid Everton £75m for Lukaku in early July, weeks before PSG smashed the world transfer record with £198m for Neymar. Mourinho also brought in Nemanja Matic for £40m from Chelsea and Benfica’s Victor Lindelof for £30.7m, as United got their business done early this summer. “I think we were very clever,” Mourinho said in an exclusive interview with The Times. “We thought that something could happen that could change the market forever. After Neymar everything changed — and for the worse in terms of prices. “I think Lukaku on August 31 would have been £150 million. Matic would have been £60m or £70m. Neymar changed everything. If the biggest transfer in history had still been (Paul) Pogba, I think Philippe Coutinho would now be in Barcelona at £101million. 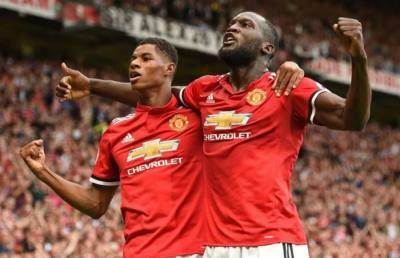 Tags:Could Have Bought Lukaku For £150Million’- Mourinho, Manchester United, Transfer News! !